50p 15 Jun 91 Unidentified Tortoise Many animals w/ prominent tortoise in foreground. 100th Anniv. 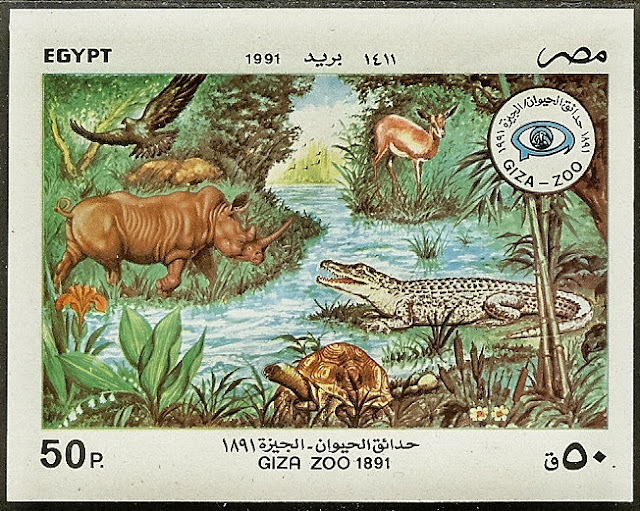 of Giza Zoo.